Have you thought about studying while traveling with your family? It is an ideal summer vacation option so we want to provide you with all the information you need to consider along with the best leisure activities for you and your Little ones in Dénia. Throughout the year Denia is a pivotal destination in Region of Valencia, but with the arrival of summer leisure activities and it is even more attractive to Young families and their children. The TLCdénia school has programs specifically designed for families to learn together, at the same time, very clever options to optimize their time for Denia and the time spent learning the language. Practical, right? These classes are aimed at a quick immersion in the Spanish language to facilitate and make the most of the holiday stay of parents and children; at the same time the older members of the family will be learning in the adult centre and the younger members will be in the kids centre. 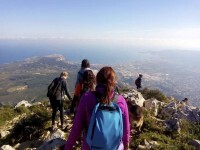 Along with this new formula the classic formats are maintained with different options according to the needs and levels of the students of courses for youth, children and adults, for weeks, fortnights and months, or all year and complemented by excursions or the practice of sailing from our privileged port of Denia. Leisure activities and sport are essential to encourage and TLCdénia bears this in mind, as well as the accommodation options to choose from: apartment on the beach or in town, residence, hotel, shared apartment or with a Spanish family. 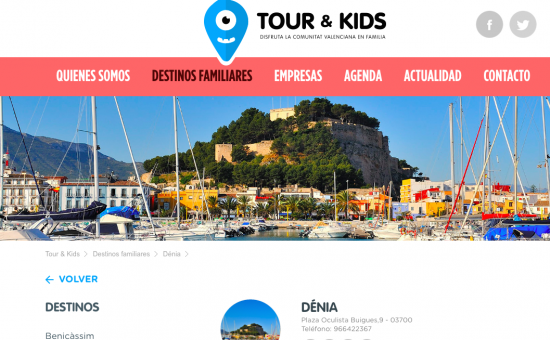 Since early 2016 the city of Denia, the capital of the region of La Marina Alta in the north of Alicante, has been part of the Tour & Kids platform, a family tourism club promoted by the Region of Valencia that enhances family trips to better understand the region. 17 km of spectacular beaches, protected by the Montgó, an old town well kept, forming the castle skyline silhouette culminating port, and gastronomy as one of its mainstays make Denia an incomparable destination. 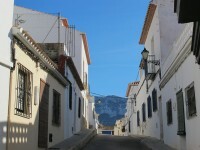 One way to discover Denia is through guided tours, each focused on a theme: A film of sea​​ and pirates is a dramatized tour in which two Barbary pirates kidnap the group and find them used in some films shot in Denia scenarios between fishing quarter of Baix la Mar and port. Historias del Castillo, Millennial Dénia, Dénia Gastronomic, Legend Nights are other tours to choose from. Among the mountain of plans we include family musical theater montages, film screenings, educational concerts, folk dances, routes to discover the Cape of San Antonio, the Cova Tallada or de l’Aigua, heritage of monumental trees or archeology of the area. Without forgetting the Castle and the Toy Museum which are mandatory stops. In late June, the theater festival is also held at Ciutat de Dénia. So we just have to ask … where do you think you will start?